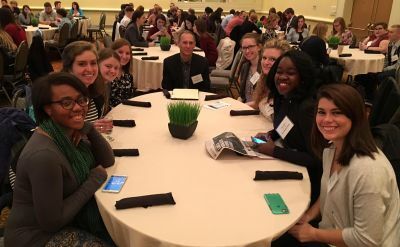 Twenty-one Goshen College students received awards and The Record finished second in the “Newspaper of the Year” competition among Indiana colleges at the Indiana Collegiate Press Association’s annual convention in Indianapolis on April 8. 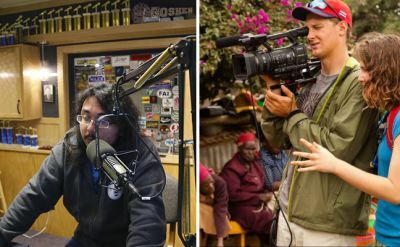 The projects FiveCore Media students complete are professional-grade and award-winning, and Hufford is proud of his students’ accomplishments. 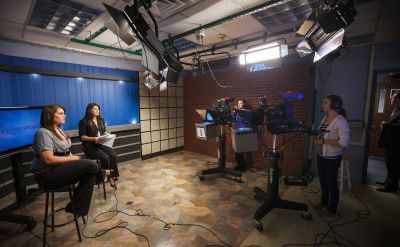 The GC Communication Department includes approximately 50 to 60 students, but more than 100 others contribute to one of the department’s media enterprises — The Record, The Globe, The Correspondent and FiveCore Media. 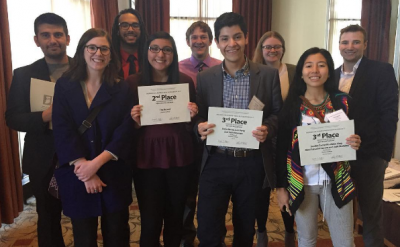 The Goshen College Record claimed 28 Indiana Collegiate Press Association (ICPA) awards, including “Newspaper of the Year,” in a competition among Indiana colleges. GC was also runner up for Television School of the Year. 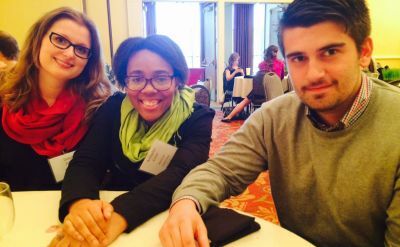 Goshen College students involved with campus publications were recently honored for their work at the Indiana Collegiate Press Association (ICPA) competition for print media. ICPA presented awards at its annual conference on April 11 in Indianapolis. Among the winners were staff members of The Record, the student newspaper, and Red Cents, the student arts journal. 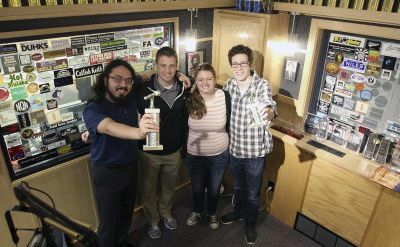 GC was also runner-up for Indiana Radio School of the Year. Fifteen different GC students earned individual awards in 17 categories, including seven first-place honors. 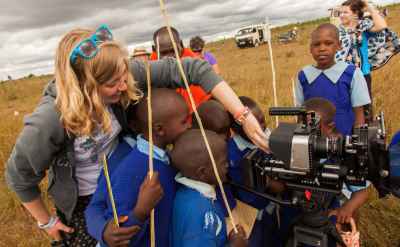 The Goshen College Communication Department and FiveCore Media recently released two documentaries on the work of Foods Resource Bank (FRB) and its partners in Kenya: "Sunset to Sunrise: Sustainable Living in Ndeiya" and "Culture and Community: The Maasai Shift to Settled Life." 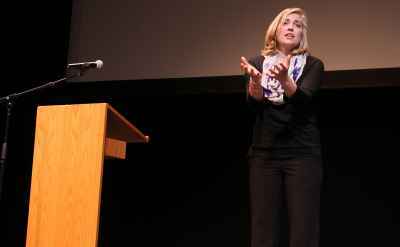 Five Goshen College students will present speeches during the 2015 C. Henry Smith Peace Oratorical Contest on Tuesday, Feb. 17. The annual event will take place at 7 p.m. in the Umble Center and is free and open to the public. 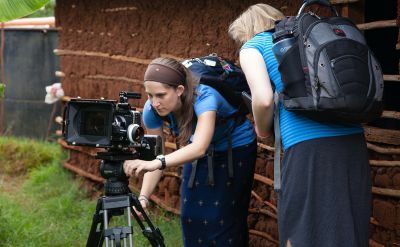 Next fall, Goshen College will offer a new film production major for students interested in studying film.